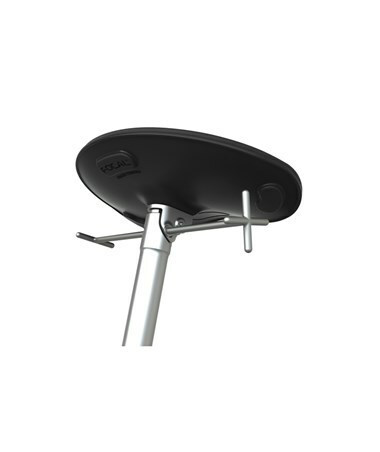 Adjustable height of 31" to 41"
The Safco Locus Seat by Focal Upright offers a non-slip, easy-to-clean, and contoured cushion to help reduce pressure points when sitting. 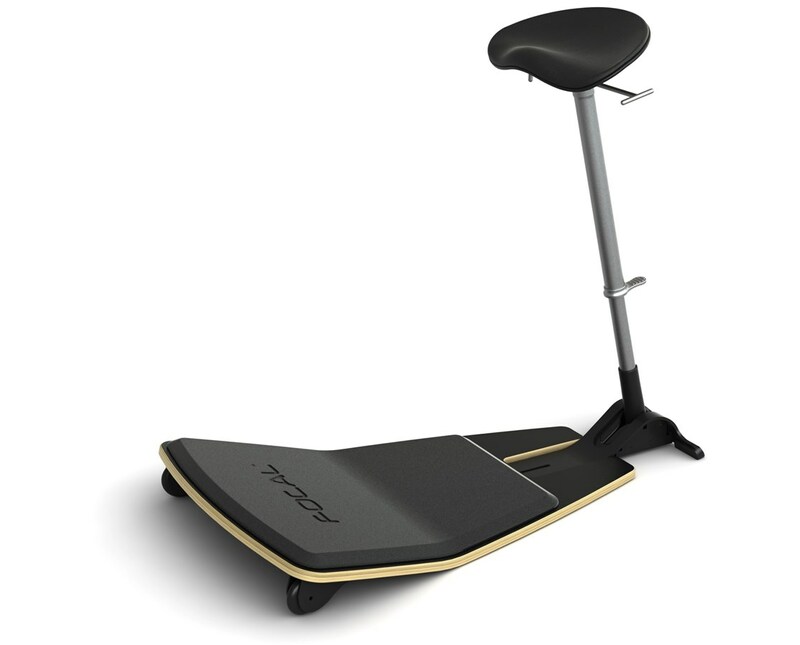 The seat works with any standing desk or table and can hold up to 300 pounds of weight. It features a pivoting leg that encourages dynamic movement and a seat pan that tilts up to 5 degrees which enhances hip flexibility. An easy-adjust piston-release handle is provided to adjust the seat’s height from 31 to 41 inches. Also included is an anti-fatigue mat with discreetly designed wheels. This ergonomic seat encourages a hip-to-torso range of 130 to 135 degrees providing less pressure on the spine and muscles. 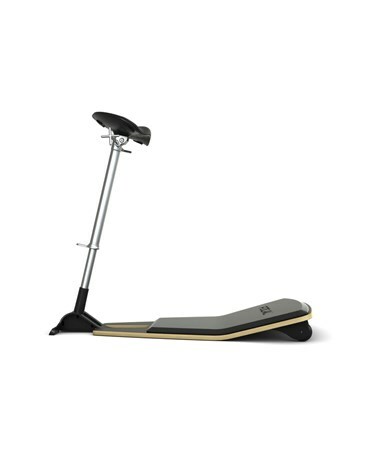 It also helps relieve stress on the lower body for a comfortable working experience. This seat is mobile and portable and easily folds for storage. This Locus seat has a 13-layer hard-plywood base platform, ethylene-vinyl acetate (EVA) foam seat cushion, polyurethane anti-fatigue mat, and an anodized extruded aluminum pivoting leg with a powder coat finish. It is designed by Martin Keen for a discreet and stylish look with maximum function. 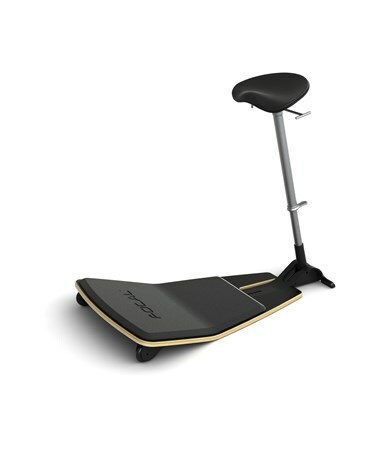 It comes in a matte black base and different seat color. 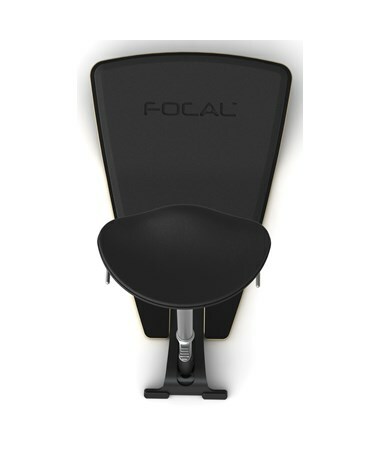 The Safco Locus Seat by Focal Upright is available in different colors. Please select your preference from the drop-down menu above. Seat 16" x 10 ½"